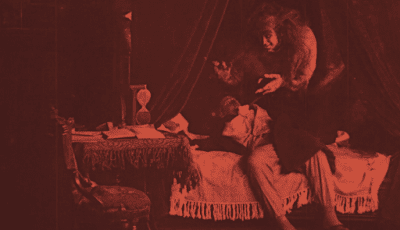 Raz's Midnight Macabre: The 1910 "Frankenstein" Film Has Been Restored And Is Free To Watch! The 1910 "Frankenstein" Film Has Been Restored And Is Free To Watch! Frankenstein, a young medical student, trying to create the perfect human being, instead creates a misshapen monster. 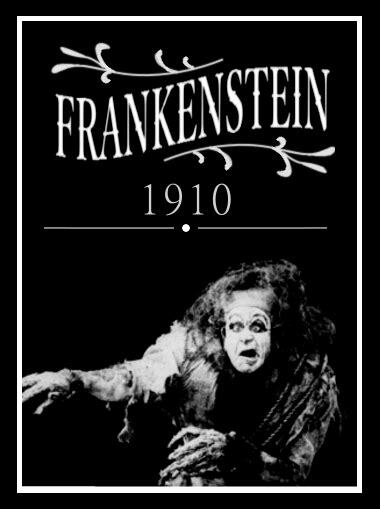 The 1931 version of "Frankenstein" may be the most famous version of the character but what some people don't know is that 21 years before that release there was a short film of the story, in fact it was the first motion picture adaptation of Mary Shelley's infamous story. Yes, this was the first film version of the iconic character. Now, 108 years after it was made, the film has been fully restored and has been released by U.S. Library of Congress and is offering it for viewing free online. Believe it or not the film was actually produced by none other than American inventor Thomas Edison, yes I do mean that Thomas Edison. Sure it's not like this film is a rare find and it is only just over 13 minutes long, which essentially makes it a short film, but there's no denying it's legacy and its place in the rich history of our beloved genre. It's also great to see the film restored in such glory and to see that its history is being cared for.